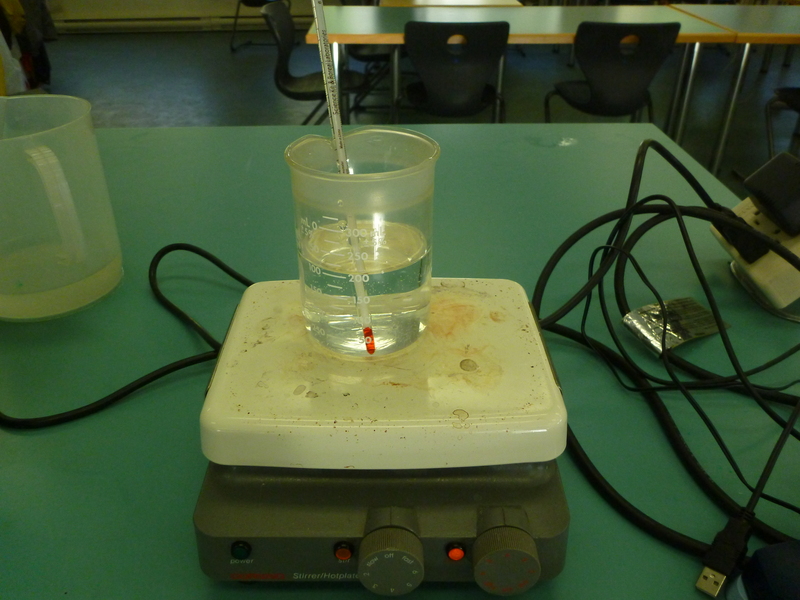 Today all three classes of first year marine scientists investigated various properties of seawater. Each student had a research question and hypothesis, designed a method to test their hypothesis then carried out their investigation in class. 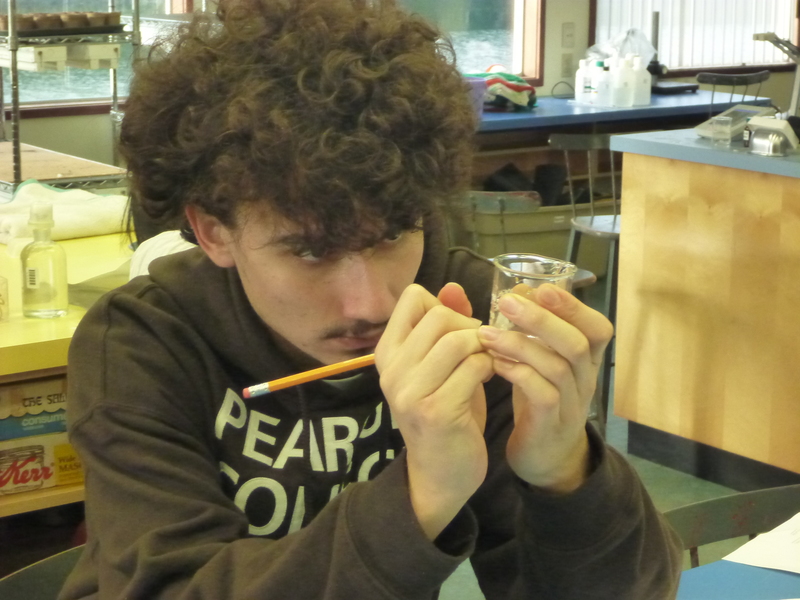 In the photo above, Young is investigating the effect of salinity on conductivity and in the photo below Romanos is setting up his experiment to measure the effect of salinity on sea ice melting time. 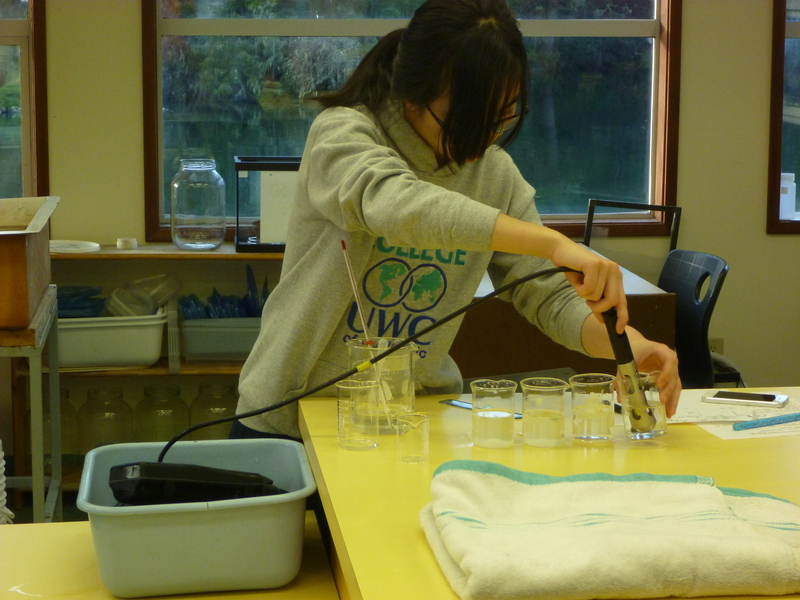 Above, Alana is measuring the effect of bubbling carbon dioxide into the water on the dissolved oxygen in seawater and below, Malou is setting up her experiment which involved increasing salinity with ‘Instant Ocean’. 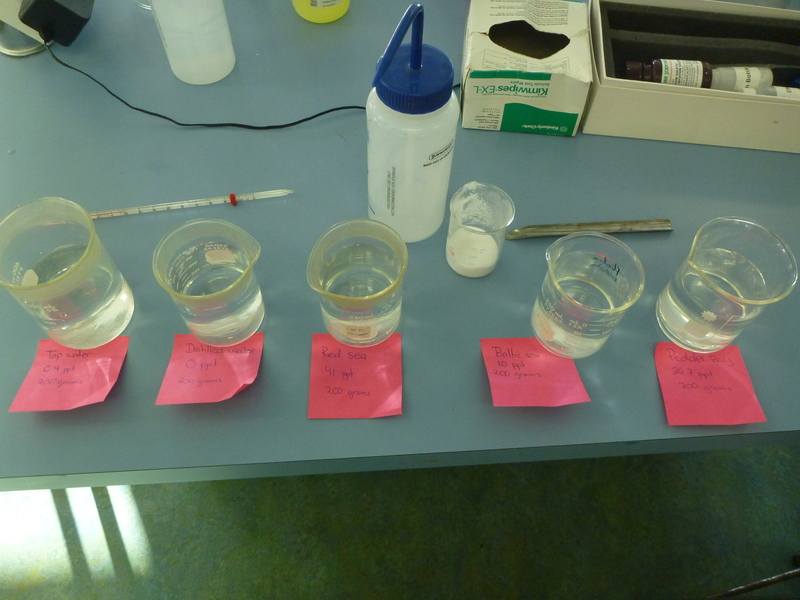 Noemi modified the salinity of seawater samples to mimic the salinities of different seas and measure the effect on boiling point. 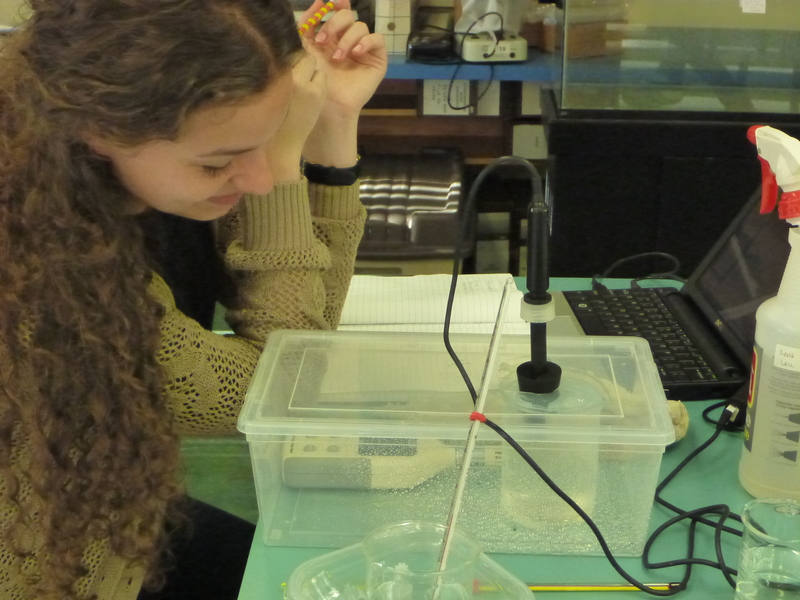 Adva, in the photo above, tested the effect of bubbling oxygen gas into seawater on the pH and Sofiya, in the photo below, tested the effect of humidity on dissolved oxygen. 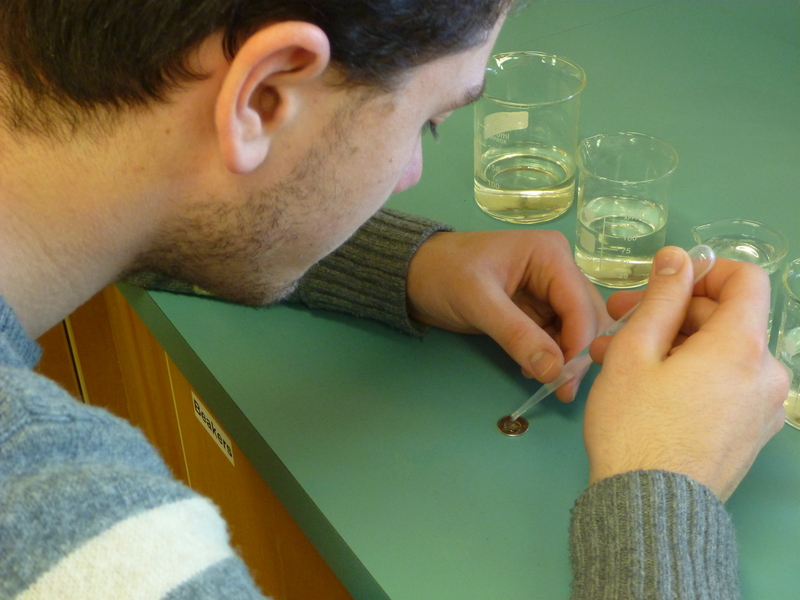 Connor, in the photo above, added drops of solutions with different salinities to the surface of a coin to see if there was an effect of salinity on cohesion / surface tension. 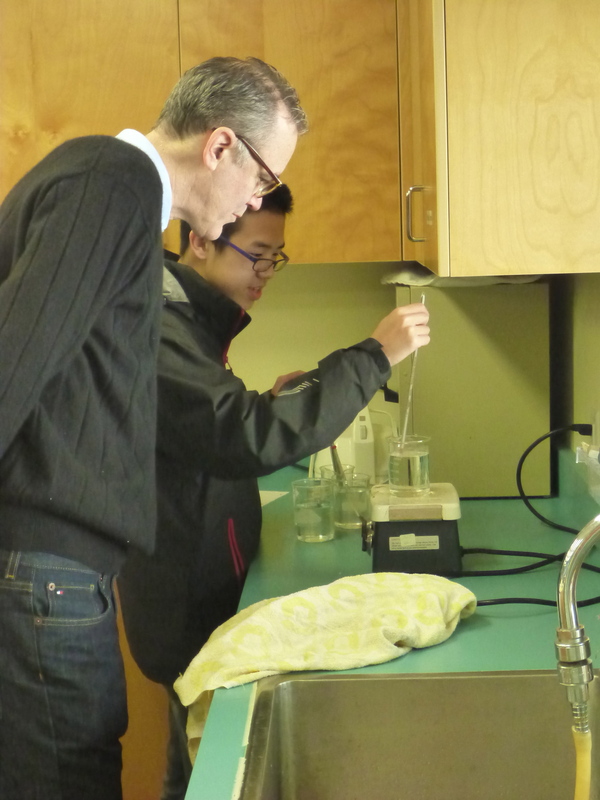 David Hawley came down to the floating lab and checked out a few of the experiments as part of his last tour of classes as the director of Pearson College. He is on his way to the IBO in the Netherlands very soon. We will certainly miss his visits to Marine Science classes, but David, please know that you are absolutely welcome to come back any time! This entry was posted on December 12, 2014 at 3:39 pm and is filed under Fun Activities, Student research. You can follow any responses to this entry through the RSS 2.0 feed. You can leave a response, or trackback from your own site. 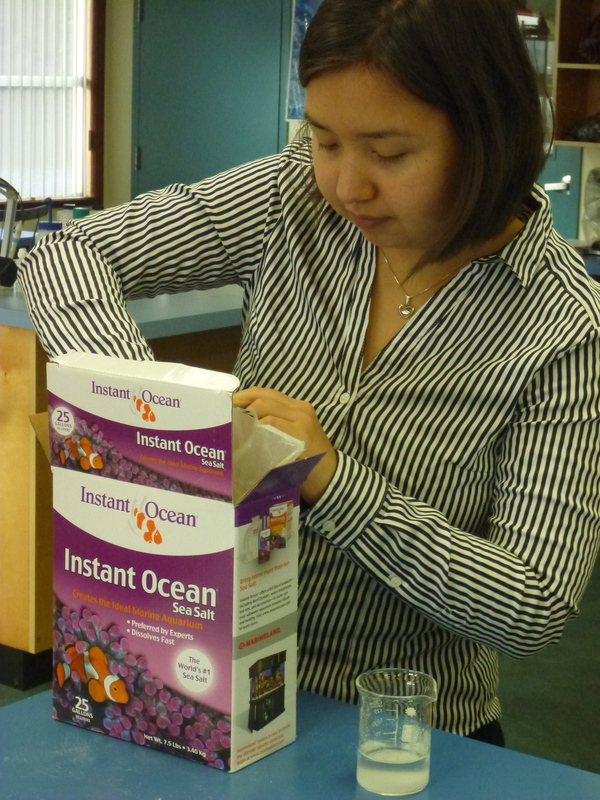 Hi Laura and intrepid marine scientists. Thank you for your kind wishes. 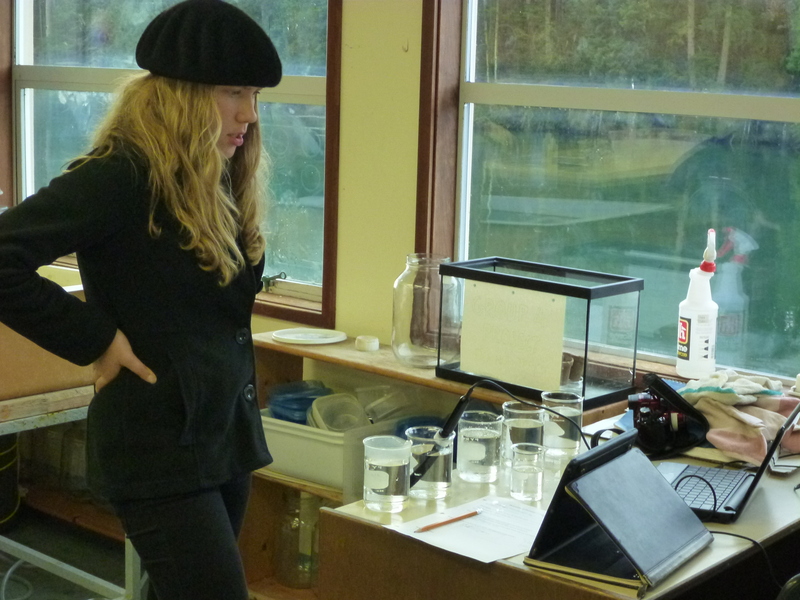 I do hope to return from time to time and I sure hope to promote this very hands-on experiential marine science course to more schools in the world. 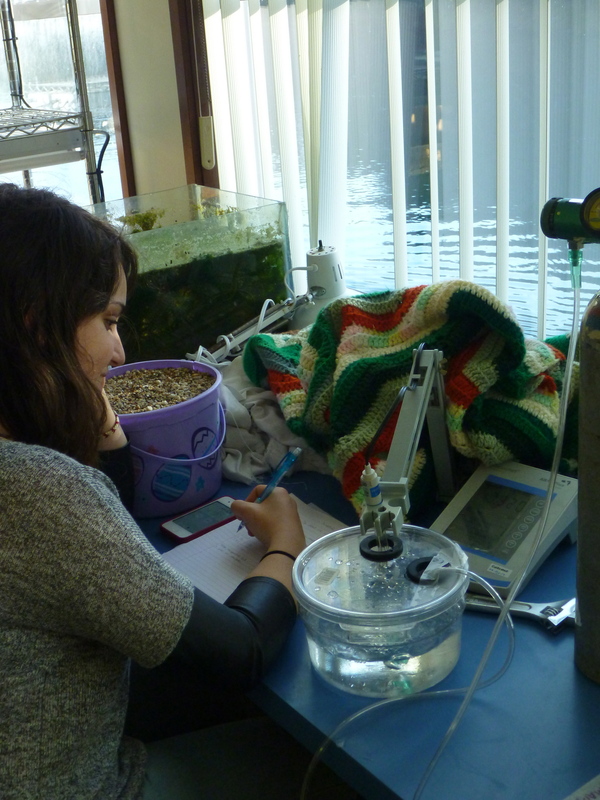 Its great to see that the Marine Science students at Pearson College are involved in investigative science with open-ended research projects like this.